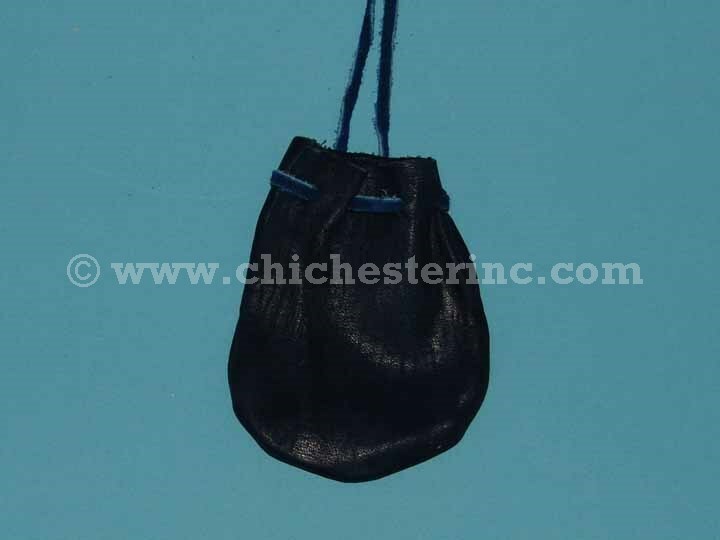 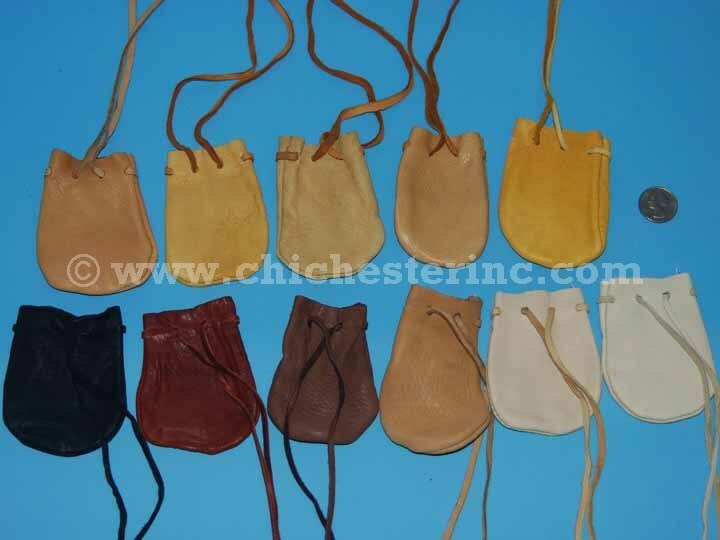 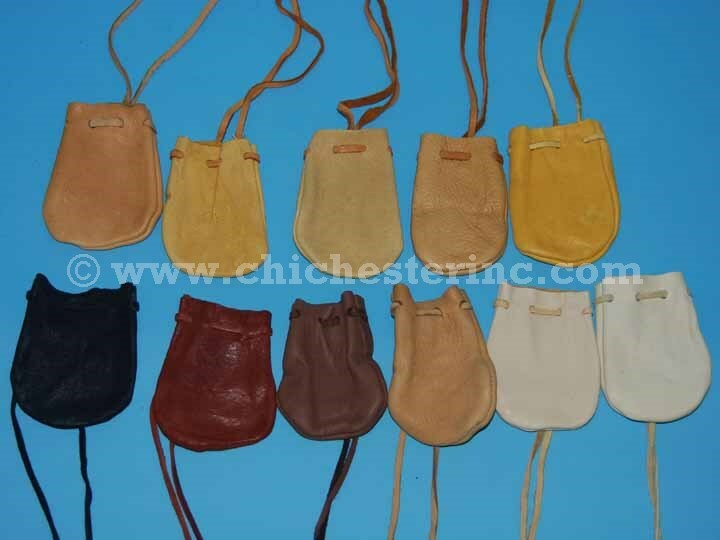 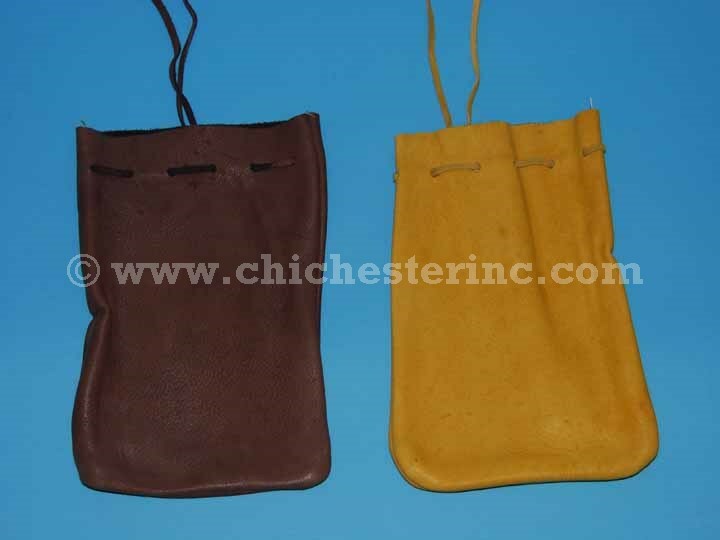 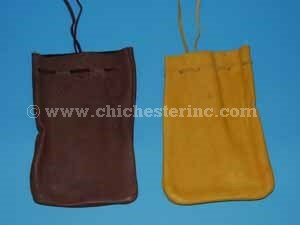 The deerskin leather medicine bags are made from top-grain deerskin leather and have a 32" neck strap. They come in assorted colors. 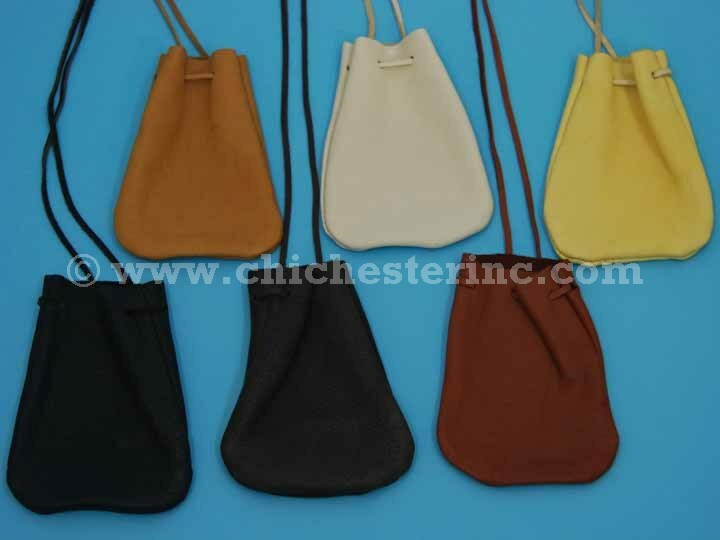 Colors: black, shades of brown, cream, and prairie gold. 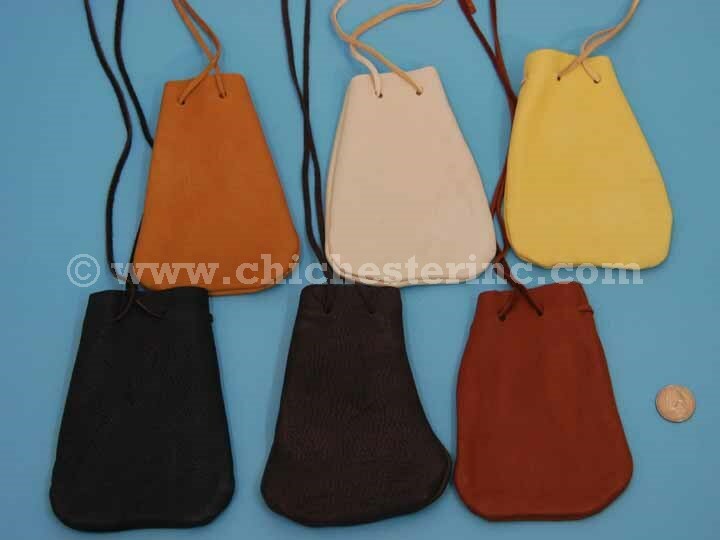 Colors: black, dark brown, reddish brown, cream, light prairie gold, and saddle tan. 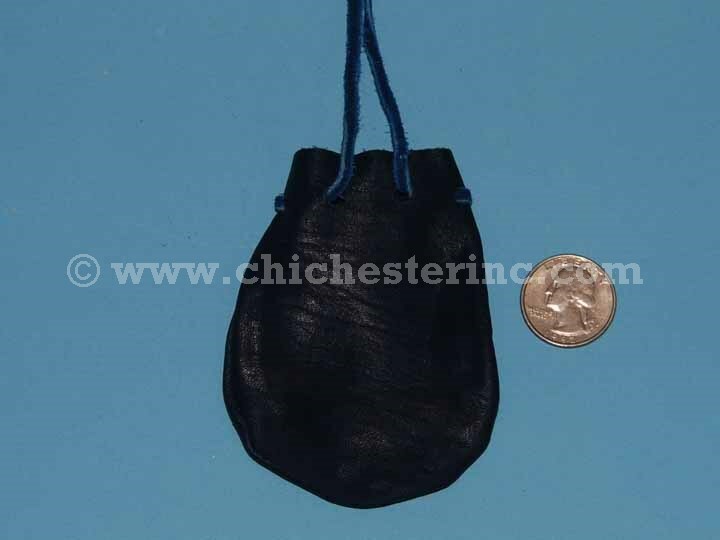 See the medium bags with a quarter. 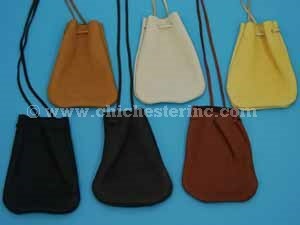 Colors: beige, black, brown, dark brown, chocolate brown, prairie gold, and tan. 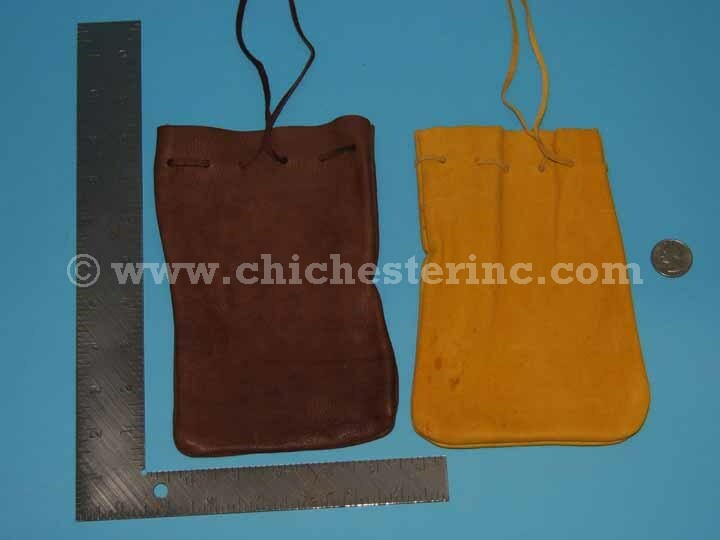 See the large bags with a quarter and a ruler.